Do you like 3D Quad Bike Racing? Share it with your friends. 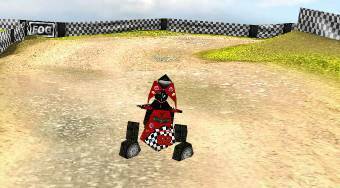 3D Quad Bike Racing - drive a four-wheeler and try to defeat your three enemies on the track in each race.